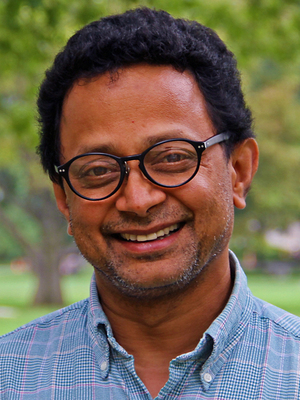 Abhijit Varde is the assistant director for technology at the OSU Foreign Language Center. In this capacity he works with faculty as an instructional designer leading a team of graduate students and staff that develops language and culture learning software and other multimedia materials. He holds a Ph.D. in Art Education from The Ohio State University with a minor in Anthropology. He received an MA in Industrial Design from Ohio State and a BFA from the Academy of Art in San Francisco. At the Foreign Language Center he has a number of electronic publications to his credit, including DVD-based Chinese and Japanese multi-year language learning software, institutional websites, courseware and the design and development of two language placement tests in German, French and Spanish. He has experience in graphic design, exhibition planning & design, commercial & documentary photography, software development as well as academic experience in visual anthropology, information architecture and design. He has exhibited his photographs at several venues in the United States and India. He is a professionally trained Marine Navigator with over 10 years of transoceanic sailing experience.